Mark Burgess was listed as a "piano back marker" in the 1901 census but by the time of his marriage in 1904 he described himself as a pianoforte maker. In the 1911 census he was a piano manufacturer and worker so he was not yet self-employed. 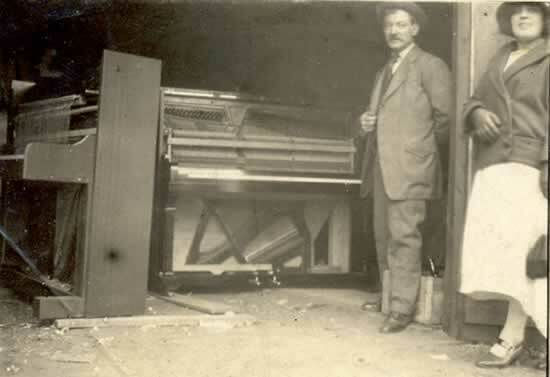 Here he is shown outside his own workshop with two examples of the pianos he made. The date is probably in the late 1920's. The woman with Mark is Nora, a friend of Rose Burgess. 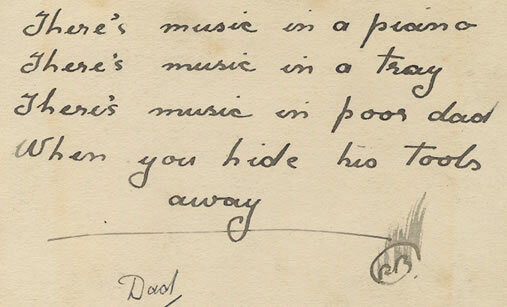 A verse written by Mark's daughter, Rose, on the back of the photograph. After he finished making pianos in Harringay, Mark and his wife moved to a house in Kew with a long shed attached at the back which I remember was full of his tools and bits and pieces that he was working on. 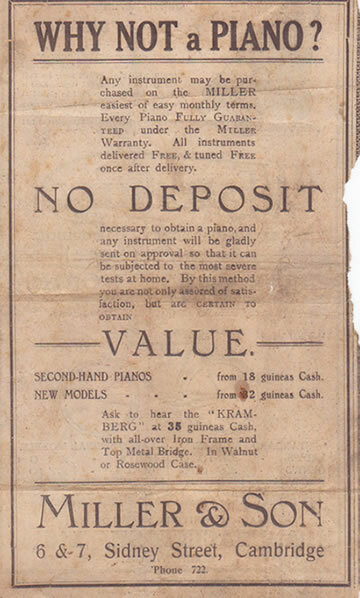 This is a newspaper advertisement for pianos from Miller & Son, Cambridge; a company that is still trading. Note that the "Kramburg" is the only featured make of piano. I wonder what they would say today if they were asked for a piano on approval "so that it can be subjected to the most severe tests at home"? 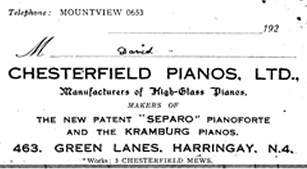 The letterhead below gives an address in Green Lanes, Harringay and also the address of the "works" in Chesterfield Mews, which explains the name of the company. The other name, Separo, refers to Mark's patented design for an upright piano that could be separated lengthways into two parts for easier removal into small, confined houses. To learn more about his invention follow the link to Kramburg pianos. During the First World War Mark worked in an aeroplane factory, using his carpentry skills on biplanes. 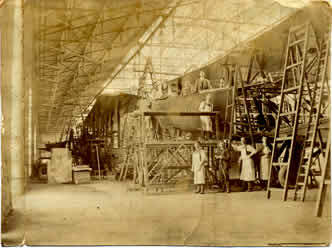 The two aircraft shown have now been identified by Ian Coleman and he has kindly written an account of their development which may be read by following the link to First World War Aircraft. 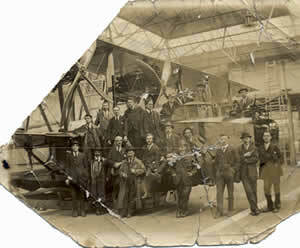 Mark is shown standing alone on the scafolding beside the fuselage in the first photograph and is in the front of the group wearing a long overcoat in the other view. Apparently, Mark's contribution to the War Effort was not confined to The Great War as is shown in a letter sent by his wife Jane to her daughter, my mother, in 1940. To read it follow the link to Downing Street letter.